ATP's fleet of over 200 aircraft continues to expand, as Piper begins delivering the first of 25 factory-new Archers. 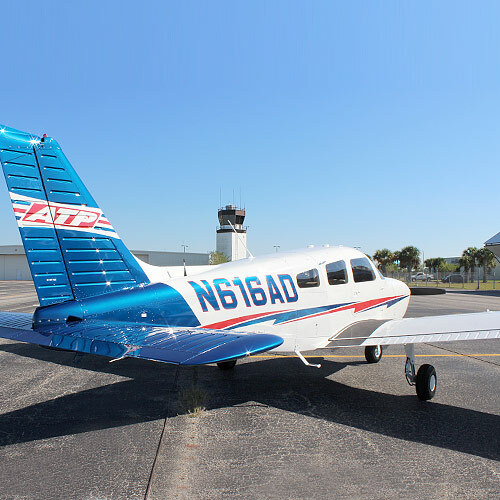 The new aircraft being delivered are part of a three-year fleet purchase deal which was announced in April, at the annual SUN ‘n FUN International Fly In and Expo, and includes the option for 75 additional planes. Maintaining a standardized fleet, all of the Archers are equipped with Garmin G500 glass cockpit avionics suites. The G500 is a PFD/MFD dual-screen electronic flight display. Dual 6.5-in. LCDs, mounted side-by-side in the bezel, put both Primary Flight Display (PFD) and Multifunction Display (MFD) capabilities directly in instructor and student field of view to help streamline instrument scanning and enhance situational awareness.